Party Jumpers, Inflatable Slides, Rent, Buy | Bay Area, CA. Welcome to K & A Party Jumpers and Pinatas. We are the most affordable jumper house you will find in whole San Francisco Bay Area. We specialize in rental business for the inflatable air bouncers and slides. 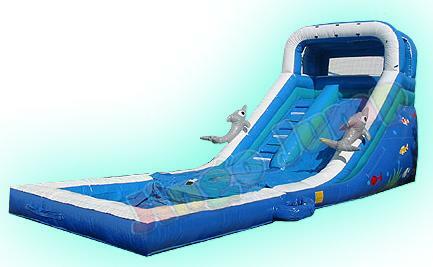 Inflatable jumpers and slides are play structures for the amusement and entertainment industry. We are called to birthday, picnics and many other occasions because our response time is quick and efficient. Quality and safety are essential part of our products and business and that’s why families call us from far out of town. We focus on Rental business of any occasion. Parties in homes, parks, schools, churches, companies picnics...etc. In addition to rental we also sell our products to different parties for their community use or rental business. Our creative designs and high quality products will help you succeed in entertainment business. Finally we are affordable!! Compare our prices and you will really save. We also give a FREE! FREE! Rental jumper after your sixth rental. "Customers are welcome to tip the delivering man"
are available for Churches, Preschools and Day Care centers and Organizations. For more information and reservations Call Now! Service You Can Count ON ! " Available 7 days a week (including holidays) from 7 AM to midnight! Business Lic.# 5551 Free Delivery! All contents on this site are copyright © for the sole use of K & A Party Jumpers 2004-2012.